Galerie Anhava’s project space showcases a selection of posters by Ben af Schultén. 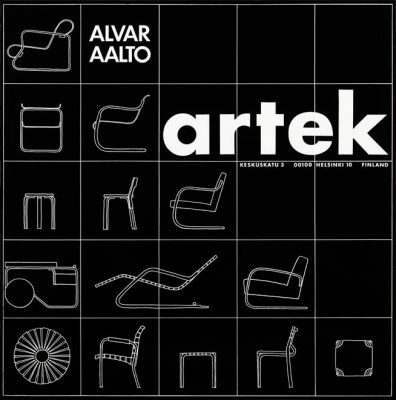 Af Schultén joined the Artek firm in 1964 and served as its artistic director from 1976 until 2004. He is known for his work in furniture and lamp design along with interior and exhibition design. He has also designed a large number of posters for Artek and Galerie Artek, which operated from 1950 until 1997. The posters helped create the image of the visual identity and values of Artek and Galerie Artek. Galerie Anhava merged with Galerie Artek in 1997. The exhibition is realised in co-operation with Artek 2nd Cycle. The event is part of the programme of Helsinki Design Week. The largest design festival in the Nordic countries will be held on 1–11 September 2016.